I was tired of having my pens in different boxes all over the house. So dedicde to convert an unused drawer on my desk. Placed the drawer upside down and traced around it. 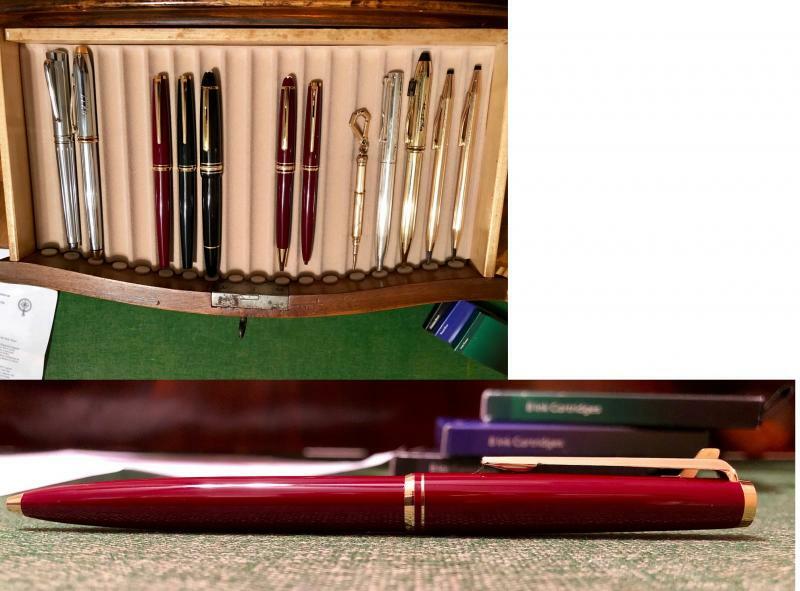 After cutting, it perfectly fit 18 slots for pens. 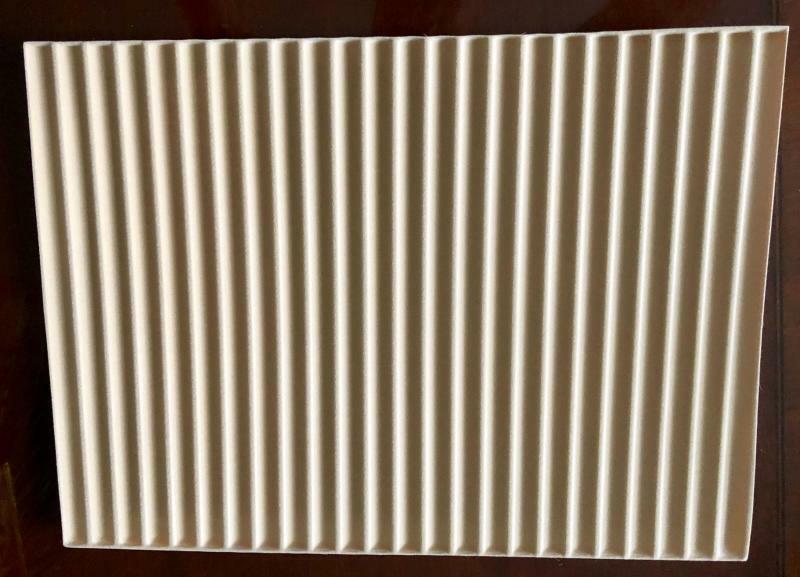 I did not want the tray all the way at the bottom of the drawer so I decided to cut some 2 inch foam I had. 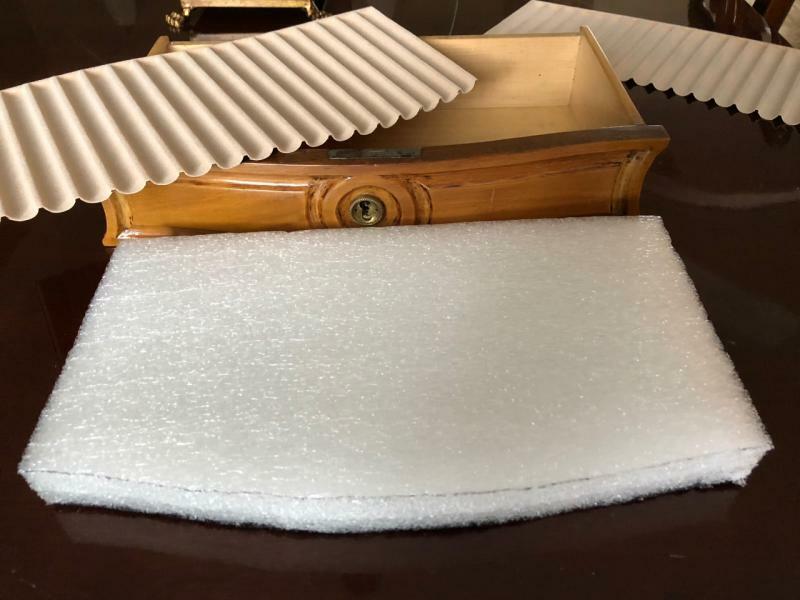 The foam made a nice tight fit in the drawer and then placed the tray on top. Raising the tray perfectly. 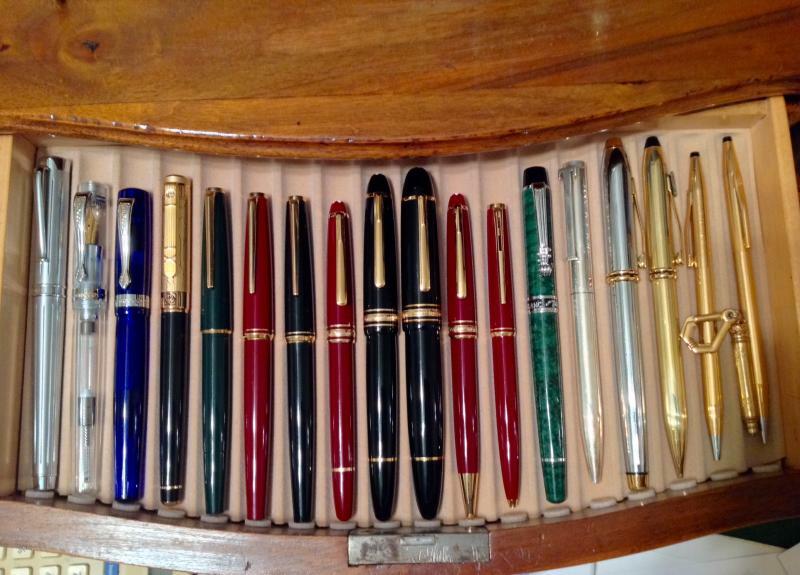 Now it was time to load the display drawer with pens. 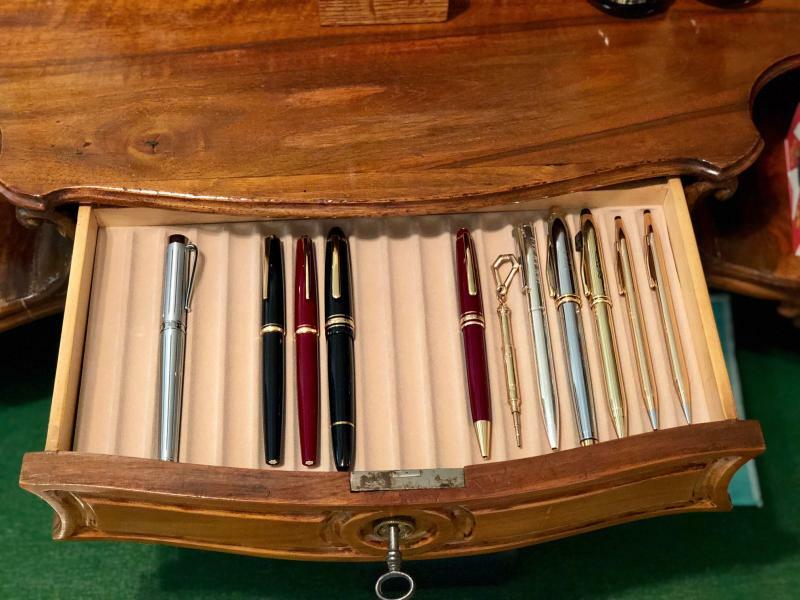 I added these small felt bumper so the pens will not bump against the drawer. Here it is in use. Very nice work and decent solution. Great place for your collection. Good work. Now get to filling those empty slots! You don't know what you need until you realise you haven't got it. Great job! And pretty easy to add a second layer to that drawer when you need more room...and you will. That's sweet! 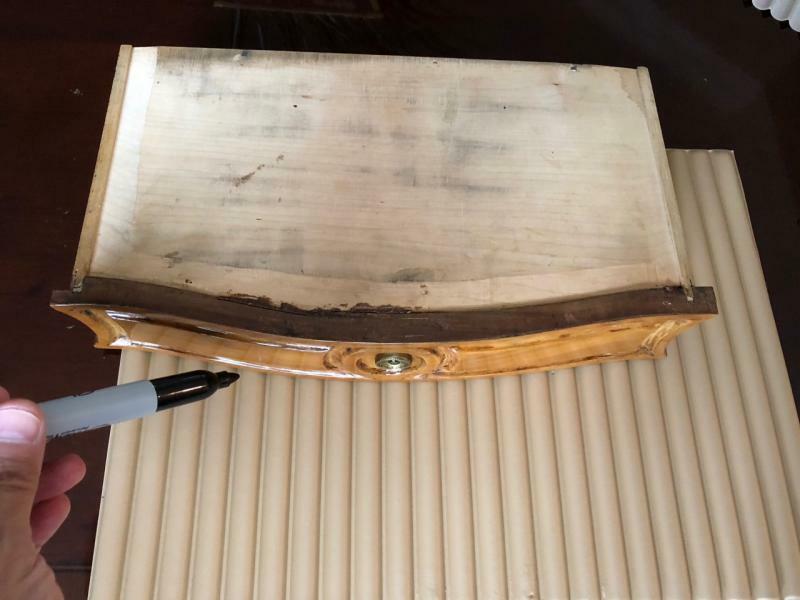 I want something like that to build a pen case out of solid wood, I am delaying this project because of the tray itself. Oh Lord, don't tell the wife I can add more. Actually I have 2 fountain pens a Picasso 902 at the NibSmith https://nibsmith.com getting tuned and a Wind Sung. 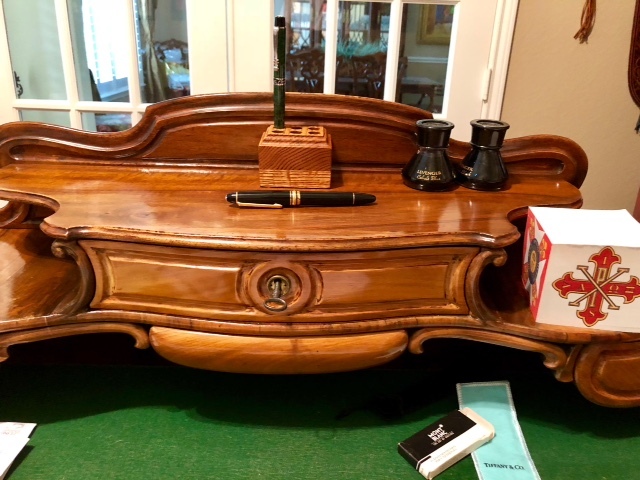 The middle space in the drawer is for the 149 OBB I told the wife I want her to give me. I know somewhere in my house are 2 MB's from my father, but haven't found where yet. Great work! I think that was a smart idea. 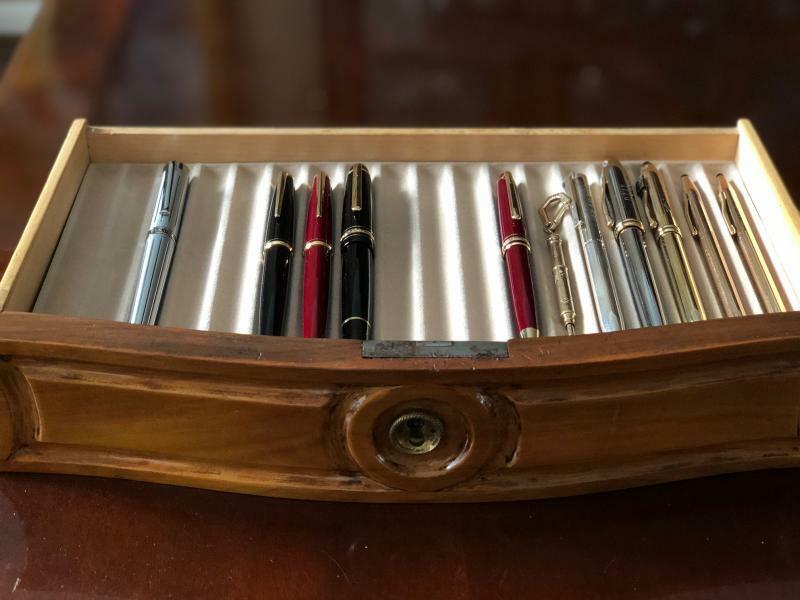 You've created a beautiful pen storage solution. You've also inspired me to try something similar with a drawer - thank you!! Thank you sir, Glad I could help. Post some pictures after you get it done. Haha! I am thinking of something more utilitarian than a work of art. Yours is gorgeous. 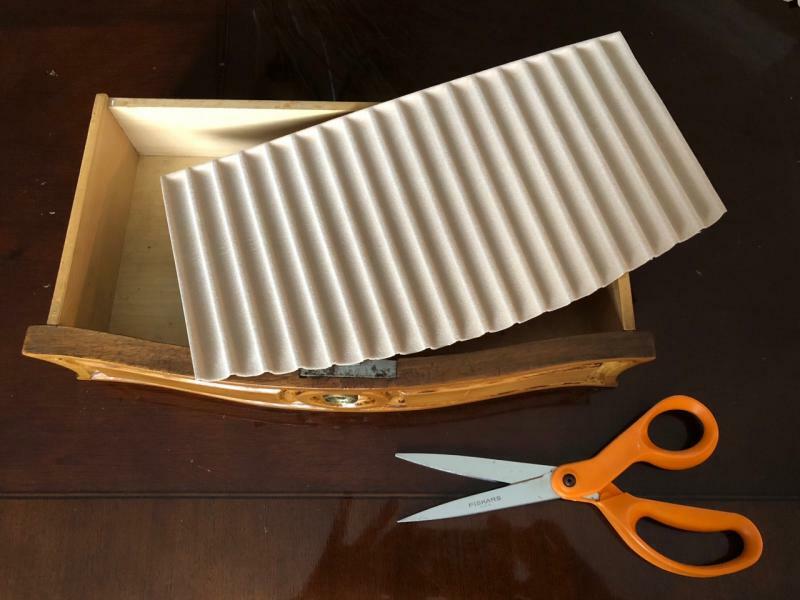 Mine will be foam + tray in the drawer of an old, well-used desk. Update to collection: Added my fathers Bordeaux lever action ballpoint that I tracked down in a box with some old pictures. You guys were right, I am filling in those slots. 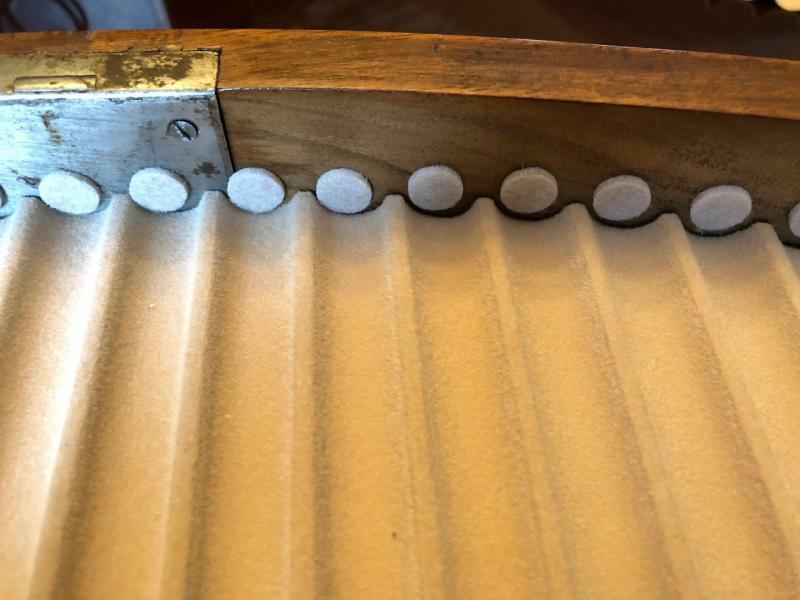 Thank you for sharing, it's a wonderful solution - the little felt bumpers are genius - I'm trying to build something myself so they will be in the mix. A neat way to spend an afternoon! Nice work. 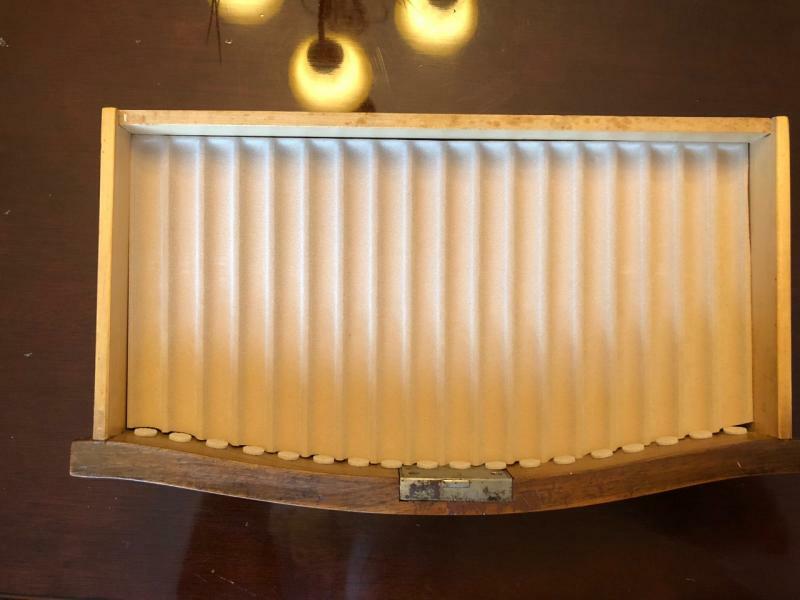 I might suggest adding the small felt bumpers on the inner top of the drawer too? Just finished polishing my dark green MontBlanc 320 fountain pen. On Left hand side, loaded into the display. It's hard to capture the green with the lighting. Nice result! 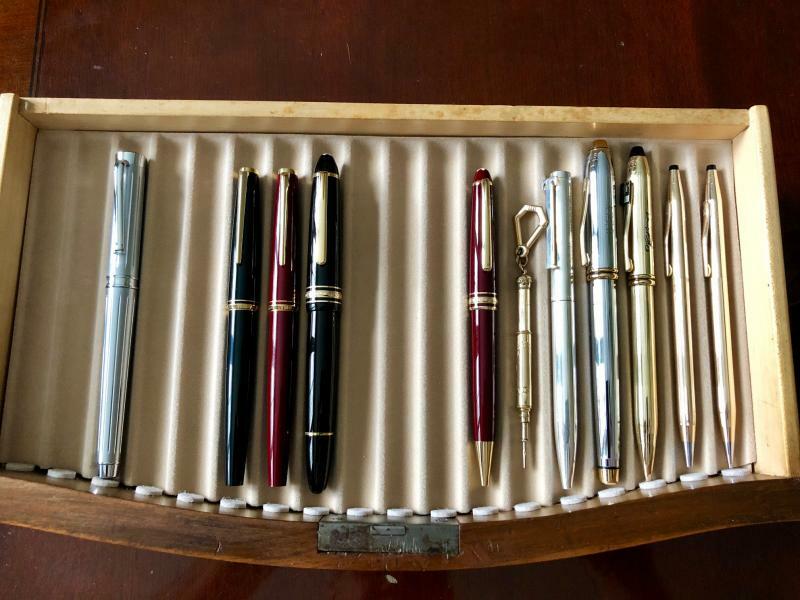 Enjoy the pens!